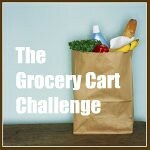 The Grocery Cart Challenge: Why So Quiet? Hello out there....(knock, knock) anyone still here? I realized to the bloggy world it seems that I dropped off the face of the earth. But there's a story in there somewhere. I started a part time job a little over a year ago that turned into full time and all of the sudden I blinked and found I went from a stay at home/homeschooling mom to a full time working mom. I've walked a mile in those shoes and let me tell you, those are some seriously tough shoes. I loved the fact that my job combined my love for thrift stores and reselling with a nice little paycheck and the ability to help a worthy non-profit cause. But working for a board of directors that contained a few people that were more interested in furthering their own agendas grew into a toxic environment. So I am now, again, a stay at home mom. I learned a few things along the way though. A working mom is a CRAZY tough job. I constantly felt guilty for NOT being with my children. I was exhausted all the time, barely home, and we ate out alot! It does all kinds of things inside you emotionally when you are away from your children more than you are with them. All those feelings for a job I loved. Can you imagine moms who are forced to work a job they don't like? I LOVE being in my home. I love feeding my family, making a cozy house, teaching my kids myself, all the conversations that come about just from being together. Running a home is a full time job! Holy moly! I didn't realize how hard I worked at home until I wasn't in it. Don't let anyone get away with assuming a stay at home mom has it easy. My house was a mess even though hubby and kids were here most of the time. The kids schedules and appointments were topsy turvy. We very rarely ate a quality home cooked meal. It was chaos. 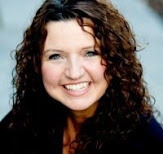 A mom (this mom) is the hub of a home. I really am the glue that holds this family together and brings order to our lives. Just being here makes everyone happier and more secure. I've been spending the last few weeks recovering from all that went down at my old job and re-discovering all that I love about being home. I've been taking my new found passion and creating a way to fulfill that and earn a little money on the side. All is well. As for the blog...I'm ready for some changes here too. I'm working on updating the site, I've got some new ideas up my sleeve, I'm getting my craftiness on again with several projects and of course I'm cooking up a storm. So basically, I'm back! Yay - glad you're back! :-) Sounds like you learned a lot and yes, being a at-home mommy is a full time job! Welcome back! Glad all is well!!! Look forward to seeing what's in store. Welcome back !! So glad that nothing was wrong. Enjoy your new adventure. Just a couple of days ago it hit me ... Where is Gayle? Glad to have you back and can't wait to see what you have in store for us now! I have been checking and re-checking to see if you were posting. Glad you're back. Your posts are inspiring. I look forward to your plans for us. Yay! I am so glad that you are back! I can't wait to see what you have up you sleeve! WELCOME BACK! I have really missed your inspiration. So glad your back I have missed your posts so much! I'm glad everything is okay. I was starting to worry. Welcome back! I just found your blog via Pinterest last week and was sad you had stopped posting. It has already helped me budget my meals for my family of 5 and I am so glad you're back!! Ugh, I so dislike that term: 'working mom'. It insinuates that someone who is at home doesn't work. I really wish that modern women would lose that phrase entirely. That being said: I work out of the home 4 days a week, and I feel your pain. Even with older kids who can help out and a great husband, the house always seems to look like a tornado hit it. Welcome back. I work full time & even with just 2 kids - it is exhausting - my mornings are usually filled with making breakfasts, lunches & dinner in the crock pot - so we don't eat out since we have to run somewhere almost every evening. Lately I have considered staying at home & home schooling - just a bit afraid I guess. But now that the kids are 11 & 6, I think they need me more more that when they were babies. Would you consider sending this to the Carnival of Homeschooling? We are hosting this week. I am so glad that you are back. Missed all your posts. Happy holidays to you and your family. I was wondering if you were coming back.I am happy to see you are back and ready to blog again. I am looking forward to seeing what changes you have in mind. YAY! Happy to have you back! I am so glad you are back OUR HOLIDAYS just got brighter. What an interesting ride that you have been on. So many great insights. Glad mostly you've found your groove back at home -- mostly for you and a little for me. Glad for the inspiration round here!! So glad you're back, I've missed your posts and the personality that goes into them! piafesGlad you're back and can't wait for the store/rummage sale store to open. Really enjoy your posts! Oh boy, I have missed your blog. I am sorry your job turned into a dud; (been there done that) that is why I work from my home...I have checked back several times just to see if you posted. Hope you have a wonderful Christmas with your family. So so sooooo glad you are back. It always encouraged me how faithful you were to do the best with the budget you had week in and week out. I'm in a similar but larger boat. We are a family of 10. So I can use all the encouragement I can get. I'm looking forward to you return! I'm so glad you're back! Just last week I thought maybe she's dead or something. I was worried! I can't wait to see what you have in store for us. I am soooooooooo glad to hear that you are back! The argument of being home full time is full time work has gone on for decades and frankly it is an argument that we stay at home loose. However, I think us woman need to fight harder in the work force woman still only earn .60 for every dollar a man does and at home we do 90 % of the work yet when it comes time for retirement only about 40% of our sisters are taken care of. Ladies we must voice our opinion and loudly and pass it on to the next generation or we will not be heard at all! Like others have said, I am glad to see you back. I was also worried about you. Isn't it nice to see how many lives you touch? Looking forward to new posts! Welcome back to the SAH mom's 24/7 club!!! Yay!!! I kept checking to see if you were ever going to return :-) Looking forward to all the "new"!